Do you have some ripe bananas that aren’t good for anything other than baking? Are you tired of the same old banana bread? Then keep reading! I had some extra bananas that I had forgotten to eat with my breakfast cereal. They were pretty black and really soft, and I knew that they were only good for baking. I did not, however, want regular old banana bread. Not that I have anything against banana bread, I love it, but I was not in the mood for it. 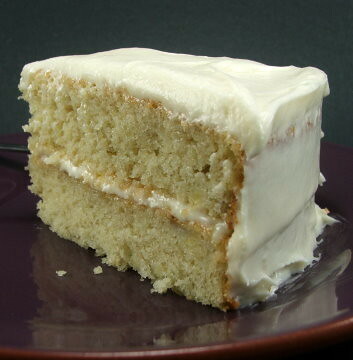 Instead I wanted a layer cake. 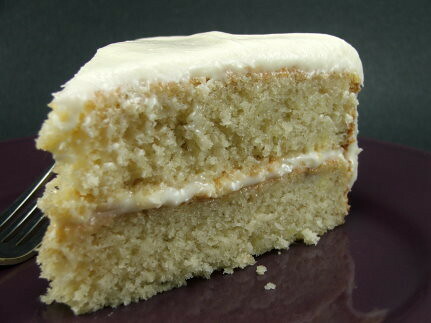 So, I set out to make a cake with my bananas. 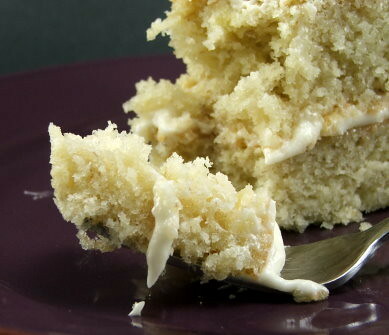 The resulting cake was super moist and very tender. It is almost fall-apart tender. 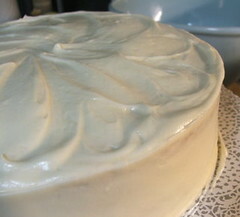 It is a good thing I used cream cheese frosting to ice it because cutting the chilled cake was a lot easier. 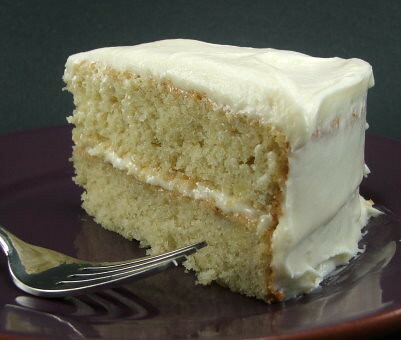 This sweet, moist, and fluffy cake is perfect with a layer of sweet and tangy cream cheese frosting. 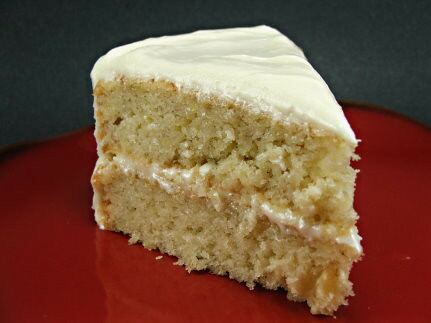 It would be good for a birthday, pot-luck, or anytime you have some bananas languishing on your counter. 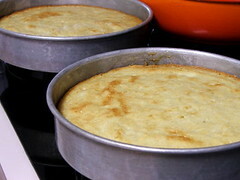 Heat the oven to 350F and prepare two 9″ cake pans with non-stick spray. 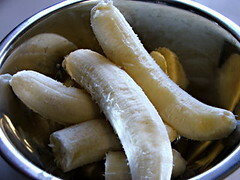 Peel your ripe bananas and mash then with a fork until they are mostly mush. 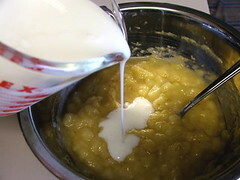 Pour the buttermilk into the bananas and mix well. Set aside. 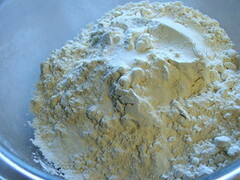 Sift the flour, baking powder, baking soda, and salt in a large bowl and set aside. 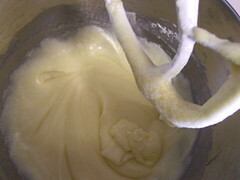 In the bowl of a stand mixer cream the butter and sugar until well mixed and lighter in color. Add the eggs one at a time and then the vanilla. Mix well. 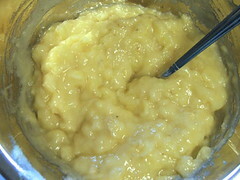 Add the dry ingredients and the banana mixture in three installments, starting and ending with the dry ingredients. 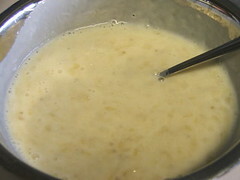 Divide the batter between the two prepared pans. 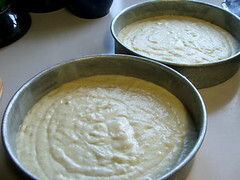 Bake for 35 to 40 minutes, or until the cake springs back when lightly pressed and pulls away from the sides of the pan. 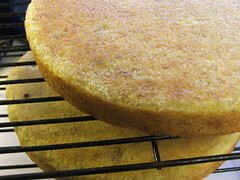 Allow the cakes to cool for ten minutes in the pans, then turn out to cool completely on racks. While the cake cools prepare the frosting by creaming the cream cheese with the butter, then adding the powdered sugar and vanilla. 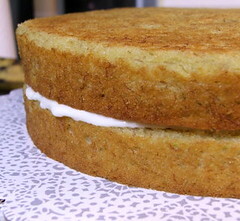 Fill and coat the cake, then chill for one hour before slicing.